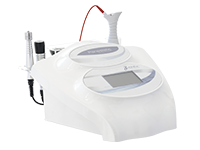 The radiofrequency devices for body provides firming and toning treatments and are recommended for women and men of all ages. With a body radiofrequency treatment it is possible to perform treatments for prevention, stimulation or repair (in case of skin laxity and atony). 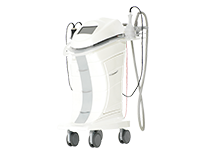 Those treatments can be performed in the most critical areas such as neckline, arms, thighs, knees. It is highly recommended to receive a radiofrequency treatment for body after a strong diet or after giving birth. In these cases, the action of the treatment allows a remarkable and physiological improvement of the skin texture and makes the skin more tight, bright and elastic even after the first sessions. In the last years, the radiofrequency treatment for buttocks has been very successful because it is a treatment highly requested by women of all ages, from teenagers to women who despite years like to take care of themselves. 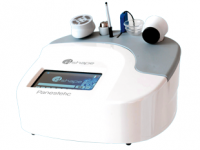 Panestetic has created a real application protocol for body radiofrequency treatments, a protocol that enhances the beneficial effects of this technology. 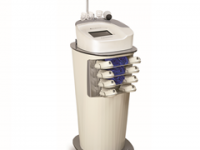 Contact us for more information about our radiofrequency machines for body.